Rock-cut funerary monument. Dā o Doḵtar (lit. 'Mother and Daughter'), Fārs province, Iran. Hellenistic (330 - ca. 150 BC) or Parthian (ca. 150 BC - AD 224) period. Facade: H. 5.50 m, L. 5.80 m.
The interior comprises two entirely empty chambers: a main chamber, extending along the full length of the monument's facade; and a smaller, secondary space, possibly of a later date, attained through a hole in the ceiling of the first chamber (e.g., Herzfeld 1941: pl. XXXVII; Stronach 1978: pl. 192d). On the rock-cut facade, two pairs of engaged semi-columns flanking a central door are surmounted by an architrave with two fasciae, which is crowned, in turn, with a battlemented cornice. Below the approach to the tomb, the cliff face is smoothed into a vertical panel. The plain shafts of the semi-columns rest on bases featuring a high torus on a double rectangular plinth. The simplified Ionic type capitals have close-set volutes without a central palmette. Ernst Herzfeld (1935: 32; idem 1941: 206-208), who first recorded the monument, perceived the simplified volute capitals of the facade as examples of an archaic, 'proto-Ionic' type. Accordingly, he dated the tomb between ca. 650 and ca. 550 BC, simultaneously speculating that it could be the resting place of one of the early Persian rulers, possibly even one of the predecessors of Cyrus (II) the Great. Despite Aurel Stein's (1940: 47) initial doubts, this view acquired a numerous following until the 1960s (e.g., Ghirshman 1954: 124; idem 1963: 132; Vanden Berghe 1959: 58; Gullini 1964: 310). 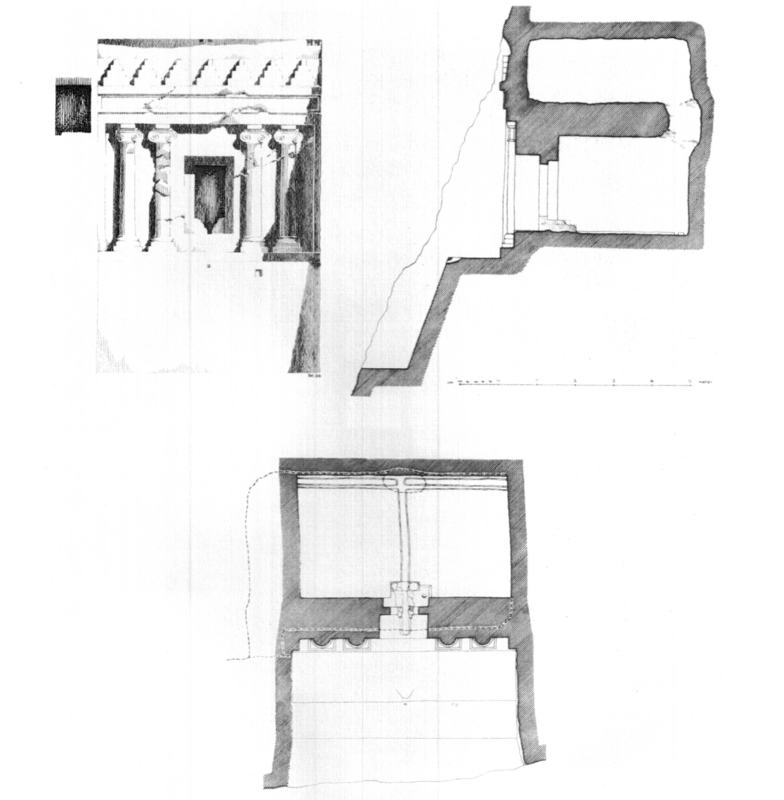 The hypothesis of the tomb's pre-Achaemenid date was eventually abandoned subject especially to awareness that the entire facade of the monument is covered with marks left by a toothed chisel (Stronach 1974: 246; idem 1978: 304, pl. 192c), a stone-working tool introduced in Iran from Greece in the early Achaemenid period and only put into any extensive use in Achaemenid architecture and sculpture during the reign of Darius I (522-486 BC) (Nylander 1966; idem 1970: 53-56). Equally, while the relief capitals of the tomb —which were envisaged by Herzfeld as 'proto-Ionic'— might conceivably echo fifth-century types from Greece and Anatolia (Boardman 1959: 215 n. 2; von Gall 1966: 19 f.; see also Stronach 1978: 304), both the simplified form of these capitals and other characteristic features of the Dā o Doḵtar facade are now possible to place within a context of architectural developments that were inspired by a dialogue between Achaemenid and hellenistic models. For instance, Hubertus von Gall (1993 [see earlier idem 1966: 36, proposing an Achaemenid period date]; cf. Boucharlat 2006: 463) ultimately opted for a date in the early Hellenistic period for the tomb, pointing to the arrangement of intercolumnia in pairs on its exterior as a typical decorative element of facades starting in the early Hellenistic period and attested until the Parthian era. 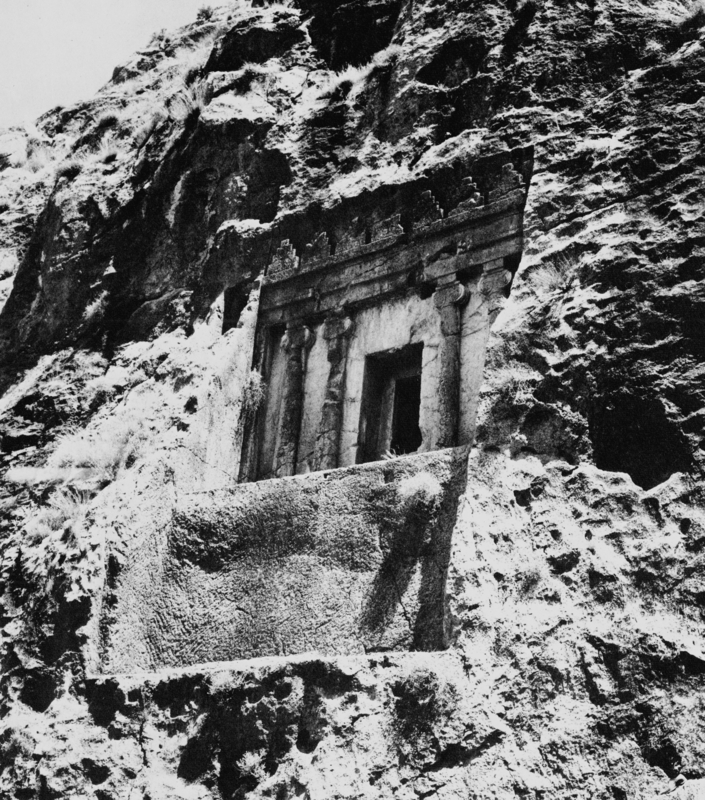 The basic scheme, however, of a building facade with engaged columns may still be traced, just like the carved vertical panel below the entrance to the tomb, to the earlier rock-cut funerary monuments of Darius I and his successors at Naqš-e Rostam (e.g., Stronach 1978: 304). This may be taken to allude to the main affinity of the Dā o Doḵtar tomb (and its owner, cf. Callieri 2007: 143-144) with the Iranian cultural milieu, and to the force of the Achaemenid legacy in post-Achaemenid Iran. The forms of the bases and volute capitals on the facade of the tomb equally find parallels in Achaemenid and post-Achaemenid architecture. Similar capitals were used, for instance, in the monumental building at Ḵurha (e.g. Kleiss 1973: 181-182), which is now ascribed a date in the Parthian period. Attested in Iran as early as the construction of Cyrus the Great's palaces at Pasargadae (e.g., Stronach 1978: fig. 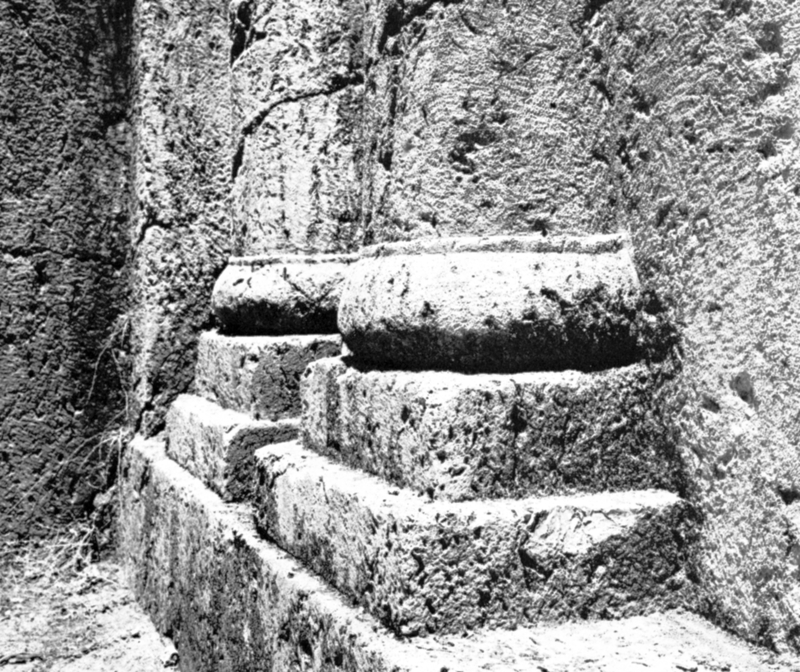 28), the type of column base with a voluminous plain torus and a stepped plinth evidently continued to be in currency in the monumental architecture of the hellenistic East, as illustrated by similar findings at Āy Ḵānom (Aï Khanum) (Bernard 1968: 130, 132, figs. 8 and 13; Callieri 2007: 97). Bernard, P. 1968. 'Chapiteaux corinthiens hellénistiques d'Asie centrale découverts à Aï Khanoum.' Syria 45: 111-151. Boardman, J. 1959. 'Chian and early Ionic architecture.' The Antiquaries Journal 39: 170-218. Boucharlat, R. 2006. 'Le destin des résidences et sites perses d'Iran dans la seconde moitié du IVe siècle avant J.-C.' In Briant, P. and Joannès, F. (eds. ), La transition entre l'empire achéménide et les royaumes hellénistiques (vers 350-300 avant J.-C.), actes du colloque organisé au Collège de France par la ‘Chaire d’histoire et civilisation du monde achéménide et de l’empire d’Alexandre’ et le ‘Réseau international d’études et de recherches achéménides’ (GDR 2538 CNRS), 22-23 novembre 2004. Persika 9. Paris: 443-470. ____. 2014. ‘L’Iran à l’époque hellénistique et parthe: un état des données archéologiques.’ In Leriche, P. (ed. ), Art et civilisations de l’Orient hellénisé. Rencontres et échanges culturels d'Alexandre aux Sassanides. Paris: 123-138.
von Gall, H. 1966: 'Zu den "medischen" Felsgräbern in nordwestiran und iraqi Kurdistan.' Archäologischer Anzeiger: 19-43. ____. 1993. 'Dā o Doḵtar.' Encyclopædia Iranica, vol. VI: 529-530. An updated version is available online at http://www.iranicaonline.org/articles/da-o-doktar-lit (accessed on 10 November 2011). ——. 1963. Perse. Proto-iraniens, Mèdes, Achéménides. Paris. Gullini, G. 1964. Architettura iranica dagli Achemenidi ai Sasanidi. II ‘palazzo’ di Kuh-i Khwagia (Seistan). Turin. Kleiss, W. 1973. 'Qal’eh Zohak in Azerbaidjan.' Archäologische Mitteilungen aus Iran 6: 163-188. Nylander, C. 1966. 'The toothed chisel in Pasargadae: further notes on old Persian stonecutting.' American Journal of Archaeology 70: 373-376. Potts, D. T., Roustaei, K., Alamdari, K., Alizadeh, K., Asgari Chaverdi, A., Khosrowzadeh, A., Niakan, L., Petrie, C. A., Seyedin, M., Weeks, L. R., McCall, B. and Zaidi, M. 2005 'Eight thousand years of history in Fars province, Iran.' Near Eastern Archaeology 68.3, Archaeology in Iran (Sep. 2005): 84-92. Schmidt, E. F. 1970. Persepolis, vol. III: The Royal Tombs and Other Monuments. Oriental Institute Publications 70. Chicago. ——. 1940. Old Routes of Western Īrān. Narrative of an Archaeological Journey Carried Out and Recorded. London. Stronach, D. 1974. 'Achaemenid Village I at Susa and the Persian migration to Fars.' Iraq 36: 239-248. ——. 1978. Pasargadae. 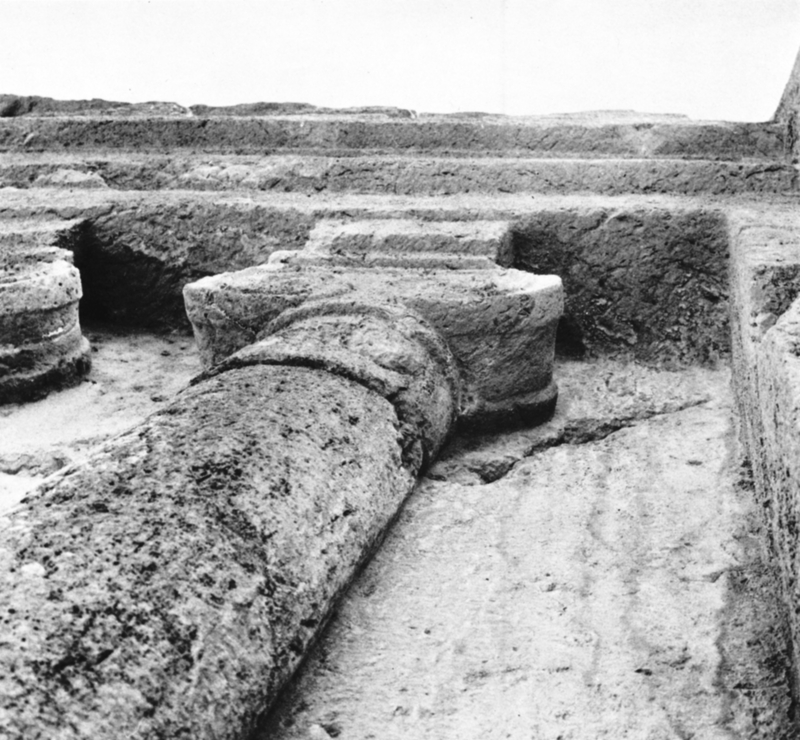 A Report on the Excavations Conducted by the British Institute of Persian Studies from 1961 to 1963. Oxford. Vanden Berghe, L. 1959. L'archéologie de I'Irān ancien. Leiden.